I was breathless—she stood in the vestibule wearing a white dress with satin trim, embroidered from her neck to the floor. Her laced veil flowed to the ground and trailed several feet behind her. In her hands she held a bouquet of gardenias and white roses, easily larger than a basketball. My heart pounded in my chest so hard I was afraid someone would hear it—she was coming to be with me. To this day, I don’t know how I managed to land such a beautiful girl, or why of all the guys that pursued her, she chose me. But that day—her image will never fade from my memory. 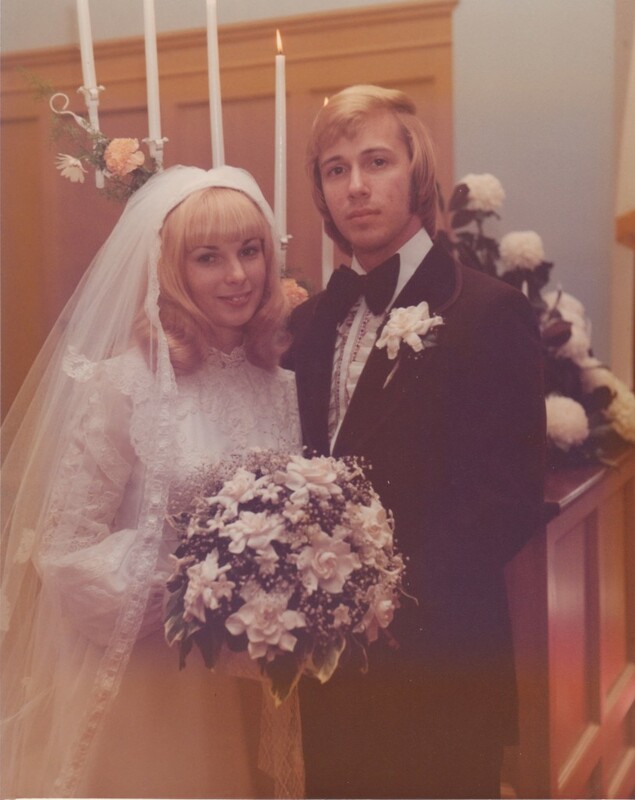 Today would have been our 38th anniversary, and I miss her with all my heart. She was the love of my life, my soul mate, my best friend. If that sounds sappy, it’s too bad—because it’s true. I know that sometimes we ask God to explain himself when he takes someone from us we love. I did that at one point. But I remembered Gwen’s willingness to be used by God any way He chose, even if it meant He would take her home. When He did, it hurt me. But it should hurt. When Jesus arrived at Lazarus’ tomb, he wept. Why did He cry, and why was it important to include that in Scripture? I have given this question more thought since Gwen’s death than ever before. After all, Jesus knew Lazarus was going to die—it wasn’t a surprise. He also knew that, in a few minutes, He would raise Lazarus from the dead. So why did He weep? And why was it important we know it? Death is difficult to bear. Even when we know the outcome, it hurts. We face it as bravely as we can, but it’s an incredibly emotional experience. When it happens, the stage is set for us to become bitter, or even indignant with God. Why do I say that? Well, it’s because we are asked to do something that is painful, or perhaps something that seems unfair. Our loss is substantial, and when others suffer, we grieve also. Grief is appropriate in times of extreme hardship as in the death of a loved one. Jesus made it clear that He was not above grieving for someone He loved. But grief does not overcome us as it does the world—rather we overcome grief by the power of the Holy Spirit. Scripture states in 1 Corinthians that death’s victory over us and its sting upon us are missing, because Jesus gives us the victory over it all by conquering sin—the source of the sting. I do miss Gwen, every single day. I would give anything to talk to her and hold her again. I miss her laugh and her giggle … and her love. But her life and her death have led more people to Christ than we ever could have imagined. I am eternally thankful for that. Happy Anniversary, Gwen. I love you still.